This is the seventh and final article in this series of seven reasons why science validates you ought to focus on Applied Positive Intentions because they can help you live an even more meaningful, flourishing and prosperous professional and personal life. In this article we focus on how applied positive intentions develop clarity, agility and resilience. If you missed the previous articles, you can read them here. 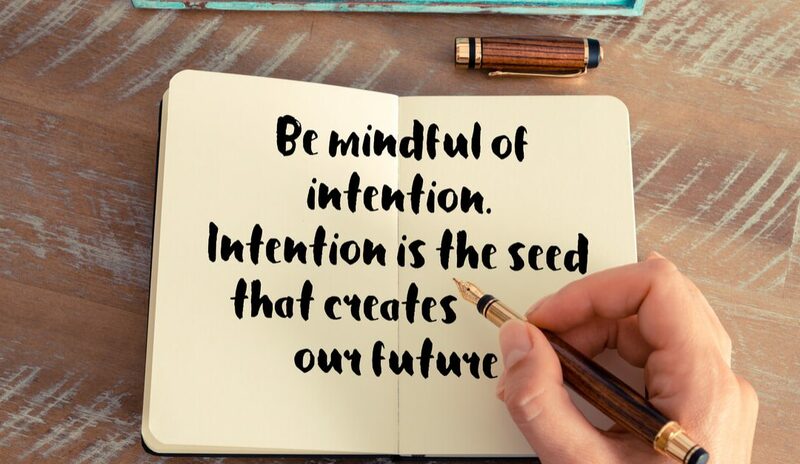 Just to remind you, an intention is one thing, but taking action to fulfill or live up to your positive intention to make life better for others in your professional and personal life, is what creates the more powerful Applied Positive Intention. In the previous articles we’ve examined how Applied Positive Intentions increase self-determination, develops trust, enhances meaning and purpose in our lives, builds positivity, increases goal achievement, and encourages curiosity and learning. In this article we explore how Applied Positive Intentions develops clarity, agility and resilience. In a world where disruption seems to be increasingly escalating at such a fast pace, many of us are finding it difficult to manage. In their personal and professional lives, people are reporting higher levels of stress and burnout, that they’re time-poor and juggling too many competing priorities. When you choose to live your life through an applied positive intentions approach, you become very clear about what you want for others in any particular situation. For example, in a workplace setting, an applied positive intention for your customers helps you decide on where your focus ought to be in earning, building and maintaining customer trust. This means you become more intentional about your choices and actions – you gain clarity and can prioritise better. In your personal life, an applied positive intention for your family helps you gain clarity on what choices and actions will help you live up to your positive family intentions. With this sense of clarity in your professional and personal life, you’re able to quieten the ‘noise’ of disruption and distraction. Beyond Mindfulness – What’s Your Mind Full Of? Your conscious mind is finite in its capacity to store information. When the noise of disruption becomes so loud that it fills your conscious mind, you’ve got little or no capacity to think clearly and mindfully. By being able to quieten the noise of disruption through a higher level of clarity because of your focus on applied positive intentions, your capacity to think more clearly enhances your agility to be more intentionally mindful in more moments that matter more often. This agility in thinking allows you to see more opportunities and take action more responsively and timely… in a disruptive world, this is key to your success. As you develop your sense of clarity and your capacity to be more agile in times of disruption, you naturally become more proactively resilient. Proactive resilience is a confidence you have in your own self-trust. This confidence is built through all seven of the reasons why science validates you ought to focus on applied positive intentions to help you live a more meaningful, flourishing and prosperous work and personal life. Once again, and for the final time in this series of articles, the message is clear for every corporate leader. Coach and guide your employees to write out positive intention statements for their customers and regularly report back on how they are living up to their positive customer intentions and you will; boost the level of self-determination in your people, develop more inter and intra team trust, enhance your people’s sense of meaning and purpose, build their sense of positivity, increase their capacity for goal achievement, enhance their curiosity and learning and develop a higher sense of clarity, agility and resilience to manage in times of disruption. This is the final article in this series. I trust you’ve enjoyed reading and have gained value. Most importantly, I hope and encourage you to give serious consideration to living life more intentionally. In each of your life roles (professional and personal) develop applied positive intention statements for those you impact, and as you go about living up to those positive intentions for others, you’ll be pleasantly surprised at the many benefits you will gain, and how this approach will help you live an even more meaningful, flourishing and prosperous life. Would you like to receive these articles in your Inbox? Signup now and receive complimentary access to my Why Trust Matters video short course! © 2018 David Penglase. All rights reserved.